Classic style from Hummel Stadil junior leather hi trainer. 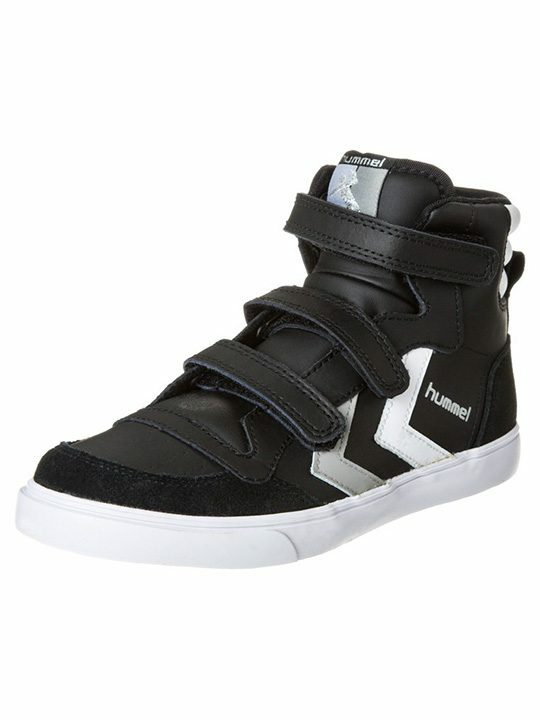 Fab in black, grey and white, fake elastic laces and single top velcro strap. Sizes 11-5.